Despite its reputation as an economic hub, Hong Kong's robust PR opportunities extend well beyond the financial sector. Hong Kong, through its history as a dependent British territory and beyond, has long been considered the financial capital of Asia. That might still be the case, but the city, a part of China since 1997, is strikingly diverse. Hong Kong's economy offers robust PR opportunities across numerous verticals, including tech, travel and tourism, and consumer, according to PR executives who work there. The city's rise to global prominence has been aided by both man-made and natural factors. With its geographic location as a natural hub to mainland China and the rest of Asia, as well as a booming Chinese economy, Hong Kong's PR market rivals those of other global capitals, such as New York, London, and Tokyo. China's roaring economy and the country's growing importance as a world power - evidenced by the Olympic Games in Beijing - are increasing the need for corporations to invest in Hong Kong-based PR spending. Meanwhile, the city's economy continues to diversify and that financial growth has impacted the city's PR landscape even more than its transfer from British authorities to the People's Republic of China in 1997, says Albert Shu, MD of Weber Shandwick's Hong Kong office and EVP of the agency's corporate and financial services practice. "Hong Kong has historically served as the regional center in Asia, and China's rise has reinforced that positioning," he explains. "As a result, we do a lot of regional campaign and account management." Despite the diversification, however, financial PR still holds a prominent position in the city. "Hong Kong is a natural hub market, given its infrastructure; proximity to other Asian markets, especially China; rule of law; liberal economy; and [the] number of media based here," adds Shu. 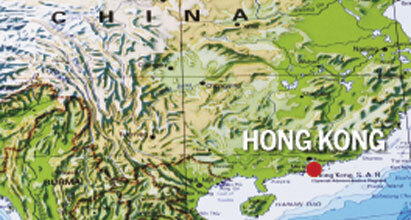 Hong Kong, because of its history as a trade center, has a more developed economy than many other Chinese cities. Therefore, PR firms with offices in Hong Kong have offered a portfolio of services ranging across various verticals for decades, says Georgeana Fung, MD and market leader for Burson-Marsteller's Hong Kong office. "For a long time, PR firms in Hong Kong have offered a diversified portfolio of services to multinationals and local Hong Kong-based companies alike," she says, "given the mature economy that exists here and its all-around prosperity." China's growing fortunes have also helped to create a thriving gaming industry in the city of Macau. Due to its proximity to Hong Kong, the increasing spending power of Chinese residents, and the rising popularity of Asian travel destinations, tourism and travel PR has developed considerably in Hong Kong over the past five years, says Simeon Mellalieu, SVP at Ketchum. "There's been a lot of investment and copycat development as [Macau] has been developed as a Las Vegas-style destination," he says. Over the past decade, Hong Kong has also seen a significant cultural shift in the makeup of its workforce. While a large number of decision-makers both in the corporate and PR worlds were once Westerners, there has been a striking localization of executives in the past 10 years, reports Clara Shek, MD at Ogilvy PR Worldwide. "Within the business world, the spoken language is Cantonese... There was a very fast localization of talent within multinational corporations, and the decision-makers in the past may have been primarily Westerners, but it localized around the turnover," she says. "Since then, the majority - 80% to 90% - of decision-makers are local Chinese with Asian origin. A lot of the ex-pats moved back to the US or to Europe." Though it's common for agencies to employ a mix of local and expatriate talent, a priority for all firms is to speak to consumers in the vernacular - often in either English, Cantonese, or Mandarin - when conducting a campaign based in Hong Kong that targets markets across mainland China, Fung says. She adds that PR pros in Hong Kong also benefit from knowledge of local customs. "Our team thrives on its ability to support both prominent local brands as well as regional and global players who recognize the importance of Hong Kong as a regional business and media hub," Fung notes. "With the increasing integration of businesses and corresponding PR programs across greater China, our team's ability to work in English, Cantonese, and Mandarin Chinese will be an excellent asset to clients." Hong Kong's unique history influences the ways in which its residents receive their news and information. Despite the fears of many experts that Chinese officials would clamp down on the Westernized nature of media coverage within the city, media outlets in Hong Kong have not experienced heavy-handed censorship, says Lou Hoffman, CEO of the Hoffman Agency. "I think that because the British held that chunk of territory for so long, the principles of Western journalism, British journalism in particular, are an underpinning of that market," he explains. "That creates a unique atmosphere that I'm not sure has existed at any other time in Asia. "The Chinese government has been basically hands-off in letting things flow the way they were before the takeover," Hoffman adds. "I was probably one of the many who expected the Chinese government to have a one- or two-year honeymoon and then exert its will, but it hasn't played out that way."